Spectacular ocean views and total relaxation await you in this charming home, nestled in a quiet residential neighborhood with a private pool. 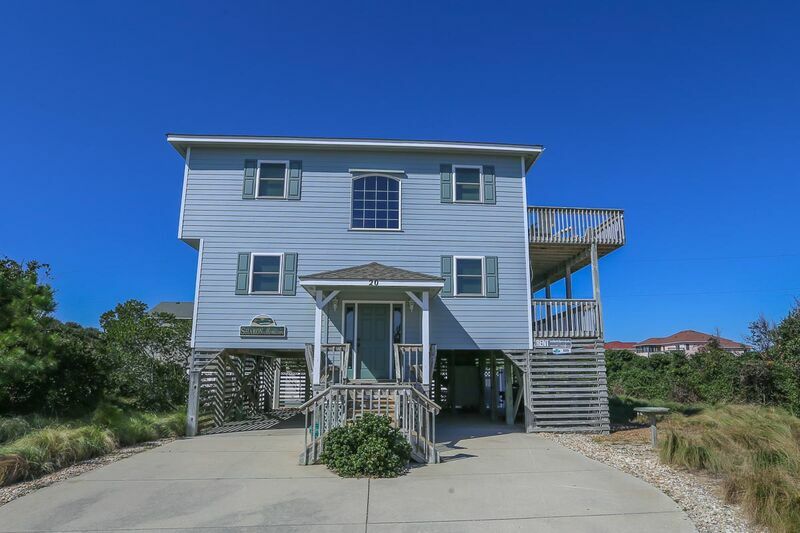 Conveniently close to shopping and restaurants yet only steps to the beach. 100 yards to beach access. 4 bedroom (2 with Queen, 1 with Twins, 1 with Pyramid bunk with Trundle), 2 full baths. Master bedroom (with Queen, private bath), living/dining/kitchen area, powder room. Beautiful house...so much room to share with 3 families. Very clean with lots of amenities provided by homeowners - including indoor games/puzzles, beach umbrellas, beach chairs and gas grill. Spectacular views of ocean, sunrise, and sunset. Very close to beach (not crowded). Loved the pool - especially the color lights changing at night. Close to Croatian Highway (restaurants, shops, etc.) and Virginia Dare Road (Beach Road). Would love to stay here again...highly recommend it.